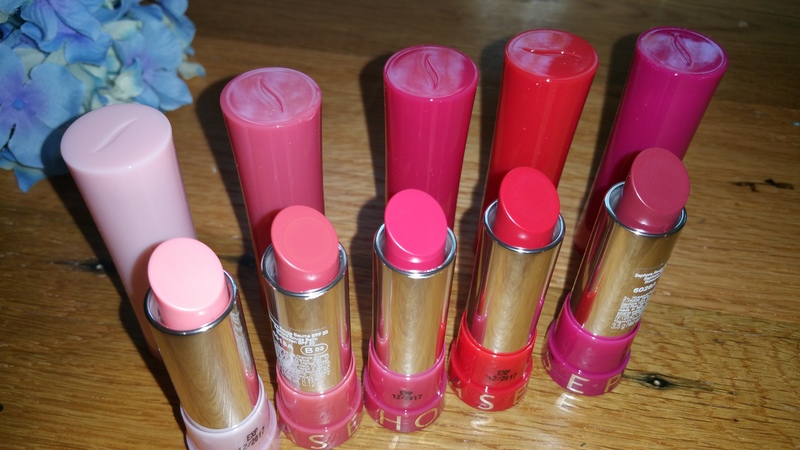 Left to right: Sephora Collection Rouge Balm SPF 20 in Delicate Pink 01, Enchanting Blush 03, Sweet Fushcia 04, Soft Rose 06 (says Soft Red on the site), Subtle Peony 08. Sephora Collection is an interesting brand. It’s often hit or miss in terms of value and quality. There are some consistent winners, like the bronzers, which are huge palettes offered in diverse shades. And sometimes the lip makeup is great. Some of my favorite lipstick colors have been Sephora Collection ones. Like many of you, I went a little bonkers with my VIB Rouge 15% off code, especially when I saw this newly released Rouge Balm from Sephora (.12 oz for $12.50). I wanted to pick up a selection of shades and get swatches out there for you. These balms seem to be aimed at the competitive, “tinted lip balm” marketplace, frequented by women of all ages, as well as at the “SPF lip treatment” marketplace, which is hot, hot, hot! I predict these will be extolled as dupes to the Fresh Sugar Lip Treatments SPF 15 (.15 oz for $24). I can already imagine the comparisons and side-by-side swatches to come. 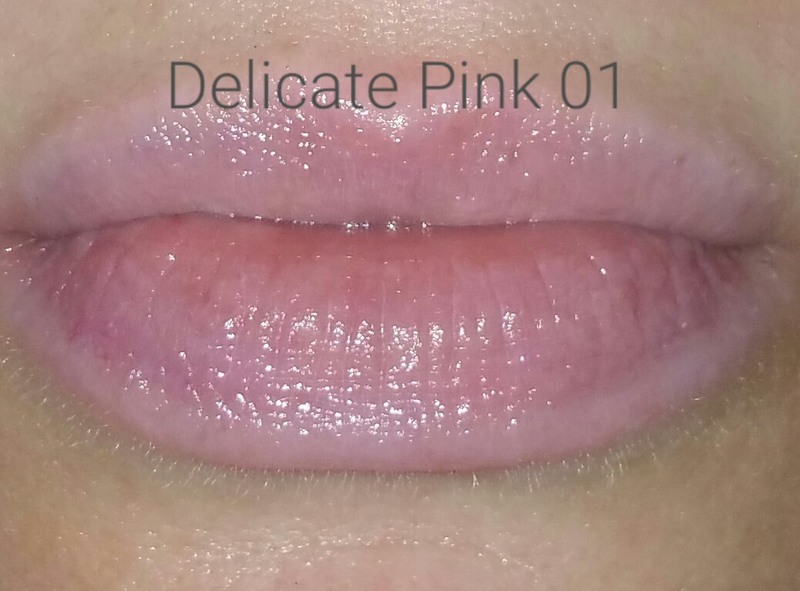 But let me tell you, I think these are not at all a match for the Fresh Sugar Lip treatments in terms of quality and luxe feel. I count eight colors available, from 01-09. For some reason there is no 02. 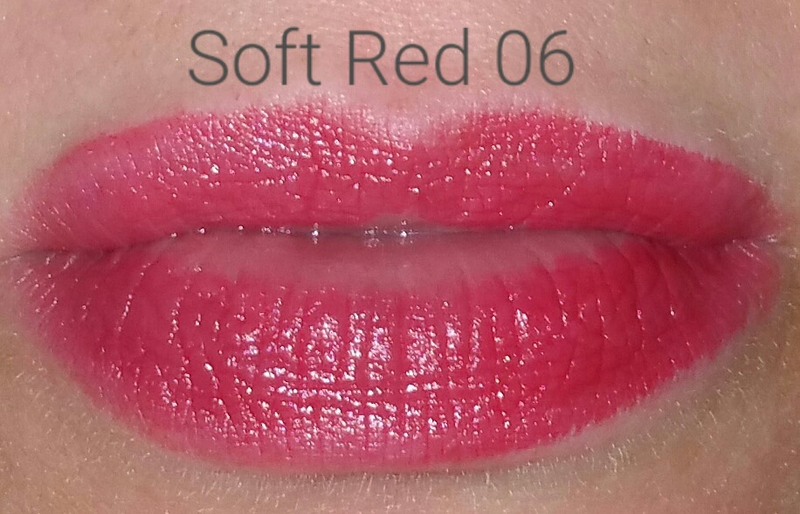 The color names are Delicate Pink 01, Enchanting Blush 03, Sweet Fushcia 04, Gentle Coral 05, Soft Rose 06 (says Soft Red on the site), Bashful Beige 07, Subtle Peony 08, and Mild Plum 09. I opted against trying Coral, Beige, and Plum at the time. After paying for these balms I crossed my fingers I would not later find out they contain chemical sunscreen. Yes there are ingredients listed on-line, but I now know that only the inactive ingredients are shown. At the time though, I held out hope for a physical sunblock because Titantium Dioxide is an ingredient shown on-line. Diisostearyl Malate, Octyldodecanol, Isostearyl Isostearate, Polybutene, Polyethylene, Ethylhexyl Methoxycinnamate, Microcrystalline Wax, Synthetic Beeswax, Polyglyceryl-3 Diisostearate, Ethylhexyl Salicylate, Dipentaerythrityl Hexahydroxystearate, Titanium Dioxide, CI 15850 (Red 7 Lake), CI 15850 (Red 6), Dicalcium Phosphate, Mica, Disteardimonium Hectorite, CI 15985 (Yellow 6 Lake), Alcohol, Silica, Fragrance, Pentaerythrityl Tetra-Di-T-Butyl Hydroxyhydrocinnamate, Aluminum Hydroxide, Water, Citrus Junos Peel Extract, Tocopheryl Acetate, Ethylhexyl Palmitate, Silica Dimethyl Silylate, Butylene Glycol, Caprylyl Glycol, Phenoxyethanol, Sodium Hyaluronate, Hexylene Glycol. What isn’t on this list are the chemical sunscreens that I found on the packaging when I unpacked my order: Octinoxate 7.125% and Octisalate 3%. I find it very annoying that sunscreen gets separated out as an “active ingredient” and therefore the chemical names don’t show up in the remainder of the list. I really do not like these chemical sunscreens and it’s important for me to know if a product contains them before I buy! 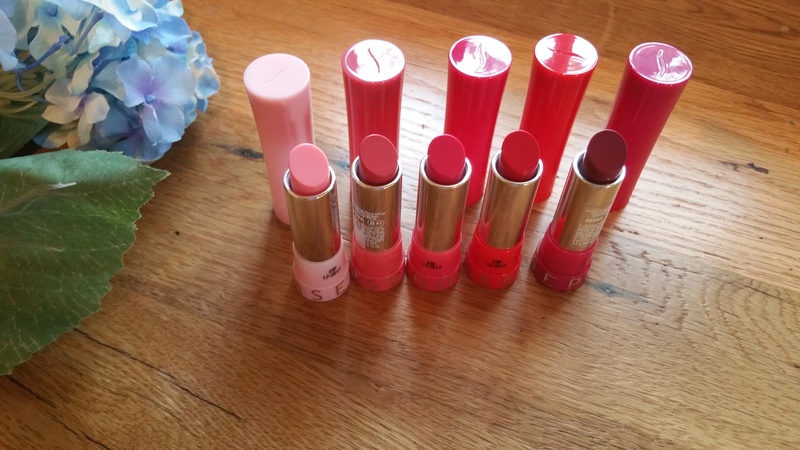 The packaging for these Rouge Balms is a shaped plastic tube with a lipstick style twist up and slanted tip. Each tube is colored to match the balm color, which is very handy if you’re carrying several different colors. The tubes are very lightweight, and to me felt a bit cheap. However, these are comparatively cheap to competitor products, at only $12.50 a pop. The balms are scented with what I consider to be the “Sephora lipstick smell”– it’s kind of grape-ish and really unique to Sephora. I happen to like the smell, but I’m sure it’s not for everyone. 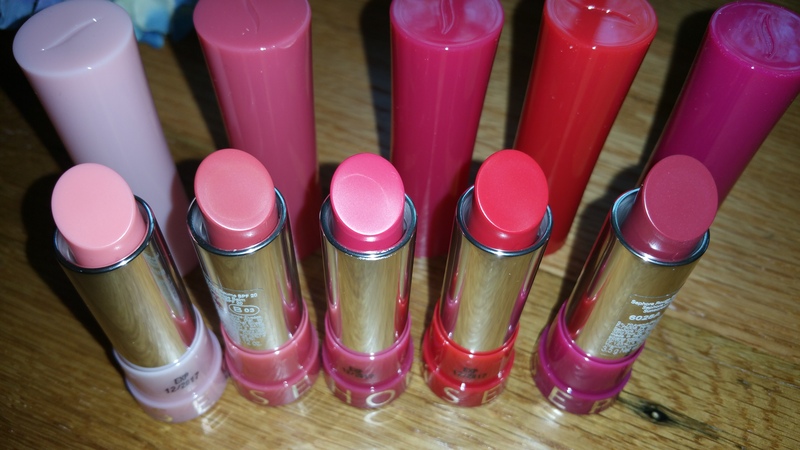 As I was trying out these balms it hit me that these are so, so similar to Sephora’s Rouge Shine Lipsticks. In fact, I began to almost feel like it’s the same product, but with the addition of chemical sunscreen. 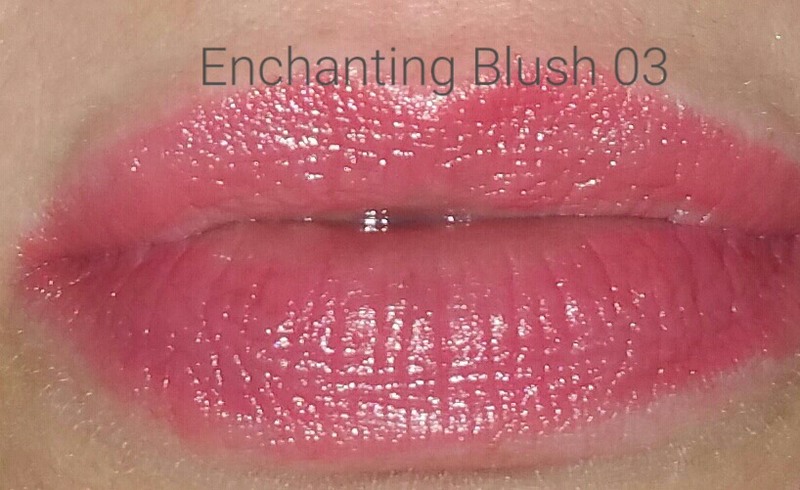 The balms do look “pretty” on the lips, but there are so many other lip products that look just this pretty. To me these are a huge miss as lip balms. I don’t think they really do anything particularly well or as advertised. I do want to say that the color pay off is good. But I don’t want color pay off when I’m using a tinted lip balm! 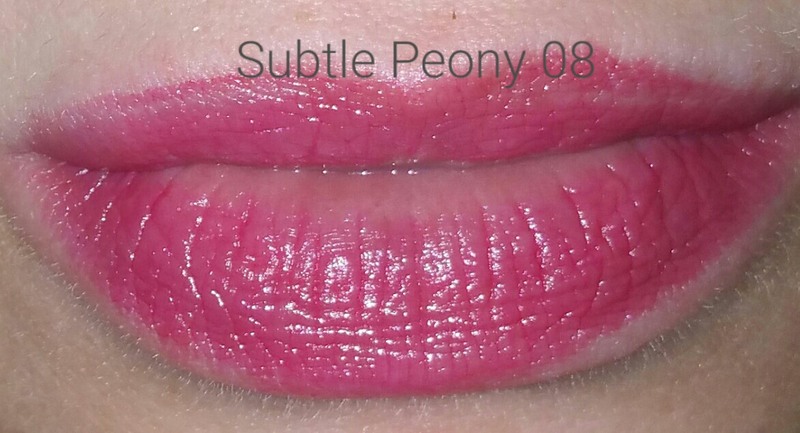 The consistency is much more lipstick than balm-like, and the shades are kind of unimaginative. I don’t feel “protected” with a waxy coat in the way I like to feel with a balm. I also feel as though they are just the Rouge Shine Lipsticks with more chemicals in them. 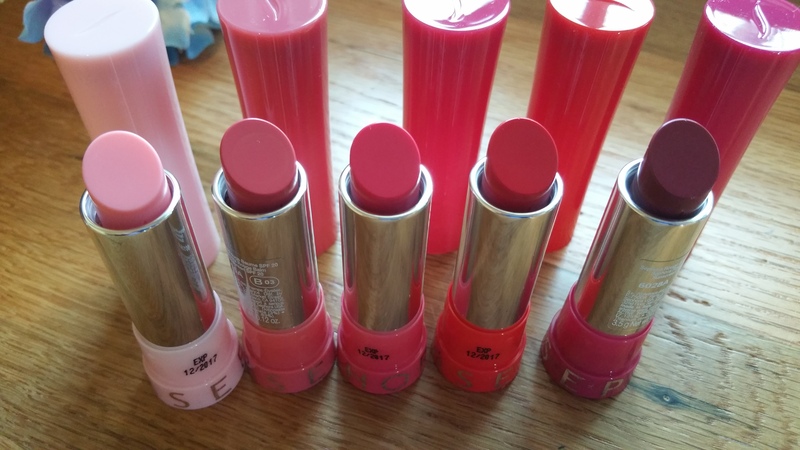 These should have been named “Sheer Lipstick with SPF.” Oh, and I can also detect that hallmark chemical sunscreen smell/taste under the artificial scent Sephora adds. Yuck. It’s disappointing that these Rouge Balms fell so far from the mark for me. But I hope this review was helpful to you !